Running and managing an office is not always an easy task, and even the most experienced professionals run into problems on occasion. While you will face a range of challenges as you try to keep your office running properly, ensuring that your office has enough supplies is often one of the most difficult. Since running out of supplies will force your team to stop working on their project, finding a viable solution is vital to your future success. The good news, though, is that you can save time and money by ordering your office supplies online. Doing so comes with many benefits that you won’t want to overlook if you care about your productivity, and the following guide will show you how to start. Some people make the mistake of waiting until they run out of supplies to buy new ones. If you care about your bottom line, you won’t want to follow in their footsteps. Not only will it cause you to fall behind, but it can also make it hard to find the best possible deal. 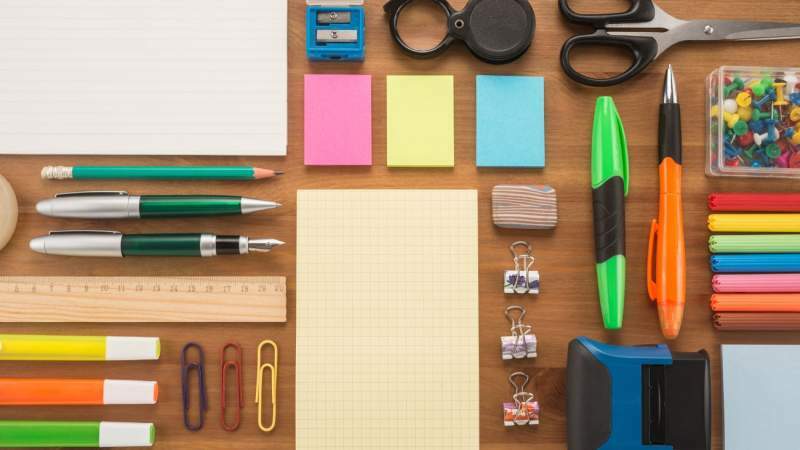 Before you do anything else, make a list of the office supplies that you will need. While some of the supplies that you buy will depend on your industry, others are useful for every office in the world. If you work at a large office, keeping track of your supplies can be more challenging than some people would suspect. Asking each team member to document every piece of paper or pen that they use is not realistic, but you can keep extra supplies in a central location. If you start running low on pens or printer paper, you can place an order before you run out. At this point, you are likely asking yourself why you should buy your office supplies online. Many people prefer getting in their cars and driving to a local office supply store, which is understandable. But when you buy your supplies online, you have much more control of the quality and brand. You can look for the exact item you want without running into distractions along the way. While getting in your car to drive to the store will cost time and gas, you can get everything you need with a few clicks when you shop online. Taking these factors into consideration will paint a clear picture when your goal is to enhance your efficiency and reduce your overhead. A lot of managers and supervisors are shocked when they experience the benefits, and you will probably feel the same way. Since online shops have less overhead than physical stores, they can greatly reduce their overhead expenses, and they pass the savings to the customers. Getting the best deals, however, requires you to shop around and compare prices, which is easy when you are sitting at your computer. You will want to check multiple websites for the supplies that you need, and you can write the prices down in a notebook or Excel document. Saving a few cents on each item will add up when you buy your supplies in bulk, so never underestimate the power of finding a good deal. Managers often look at the prices once and keep buying from the same source for years without checking again, which is a mistake. Because the market is always changing, comparing prices every few weeks will ensure that you never overspend. Even though comparing prices between multiple sites will save you a lot of money, your ultimate goal should be to find a total workplace solution. Locating a single website that can meet all your needs will allow you to save much more time and money. You won’t need to waste energy checking a range of sites, and you will only need to pay for shipping on one order. A total workplace solution will also allow you to form relationships with the team, and you will be impressed with the results. They will get to know you, your business and the things for which you are looking. The business world is always changing and evolving, and you will need to keep up if you don’t want to fail. Shopping for office supplies online is a great way for anyone to save time, money, and energy, and getting good deals will enable you to offer competitive pricing. Once you have made a list of the supplies that you need, the rest of your mission will be easy. As long as you are willing to put in a little effort, you will find high-quality office supplies at unbeatable prices, and you will be pleased with your decision.